We believe strongly that a major contributing factor of emotional well-being is physical health. Residents are encouraged to participate in as much physical activity as possible. Regular outings to the local pool, school gymnasium, local gym, rock climbing, trampoline centers and recreational parks and more are a major component of our over-all program. Outdoor camping and downhill skiing are also seasonal components of the program. Children are also encouraged to participate in a recreational activity of their own independent of the house; this could include creative activities such as piano or guitar lessons. Residents are encouraged to be involved not only in an activity they are familiar with but also to experiment and try activities new to them. Arts and crafts within the house will be encouraged as a creative activity and will also be used as a therapeutic tool in individual and group interactions. In conjunction with the Plan of Care, we provide an assessment of the child in the context of their immediate environment, specifically, in their interactions and relationships with staff, peers, the community, and with themselves. The adolescent’s view of “how and why” they are in this situation and what needs to happen to make changes is important. Also important, are their views and experience of the past and current relationship conflicts with family and peers, their commitment to change or stay the same, and the personal meaning of their behaviour is included in the assessment. We employ various models of seeing the world, not one more important than the other, but hopefully providing a comprehensive view that is useful in advancing the health, safety and dreams of the adolescent coming to our program. While we start with a basis of CPS (Collaborative Problem Solving) and Mindfulness, we encourage staff to employ their individual styles and techniques within the program and during their interactions with the residents and feel that it is important in developing a culture within the home. Most importantly, we expect genuineness, caring and nurturing from all staff towards the residents, as well as a commitment to personal, professional reflection and growth. Management’s commitment is to provide such opportunities for growth and the evolution of the program. Our assessment, therefore, includes a statement of how we as staff impact on the resident. TYRS Inc. will provide the placing agency with a monthly report of our youth’s progress, behaviour, goals, etc. throughout the duration of the youth’s placement. 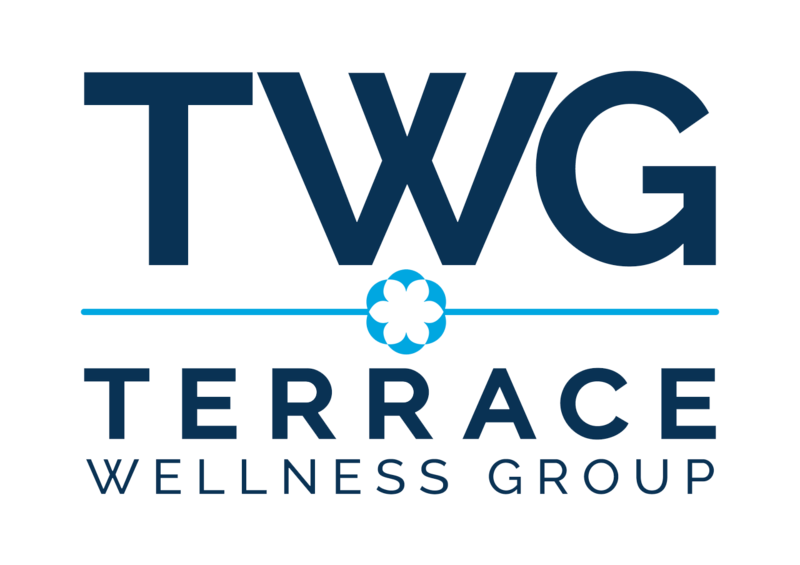 Terrace Youth Residential Services, INC is pleased to offer counselling and assessment services including Psycho-Educational assessments through its sister company Terrace Wellness Centre. The Centre uses a number of different psychotherapists with varying areas of expertise including anger management, addictions, trauma, family counselling, and individual therapy using varying methods of therapy including but not limited to Cognitive Behavioural Therapy, Dialectic Behaviour Therapy, Gestalt Model, Theraplay and Play Therapy. Our staff come to us with diplomas as Child and Youth Worker, Developmental Services Worker, Addictions Counselors, and/ or Bachelor of Psychology and Bachelor of Social Work. Staff must be able to provide a clear vulnerable sector screen, child welfare records check, first aid and CPR training, medical clearance, valid driver’s licence in order to be eligible for hire. The administration of TYRS believes that working with children and youth requires ongoing training, growth and reflection both as an individual and as a team. Upon hire, our staff teams attend Orientation Training, a minimum of 60 hours of Observation Shift Training, formal training in CPS (Collaborative Problem Solving), TCI (Therapeutic Crisis Intervention). Annually, all staff members are required to participate in Crisci & Mayer Trauma Training, Suicide Intervention, Mindfulness Training, Addictions Management, intermediate and advanced level CPS (Collaborative Problem Solving) as well as being offered team specific training for the particular needs of youth in their care. Each staff person is required to participate in monthly in-house staff development sessions as well as outside seminars. Financial resources have been allocated to cover the costs as well as the costs for resource consultants. Additional areas of staff training may include: Family systems theory, crisis management, suicide prevention, sexual abuse (identification and working with victims), understanding self-injury, behaviour management techniques, Therapeutic Crisis Intervention, feminist theory and therapy, art therapy, issues specific to female adolescents, trauma theory training, policy and procedure guidelines. These areas of training are reinforced and enhanced in personal and group supervision. Therapeutic counselling encompasses a holistic approach for each youth through a variety of intervention techniques. Treatment goals focus on the resident and provide individual insight and support to the youth and their families, as well as the team. Treatment goals, expectations and individualized plans of care assist the child, family and staff team. The staff team, within their daily routine, assist in the treatment process through positive activities and interaction. Terrace Youth Residential Services provides both group and individual counselling, utilizing a variety of professionals, including but not limited to, clinicians who are employed full time by TYRS. The addition of the clinical team of Crisci and Mayer, a private counselling and consultation firm based out of the Toronto area, has proven integral in providing therapeutic support. Crisci and Mayer offer trauma assessments, sexual trauma assessments and trauma training which has been developed specifically for residential care workers and is a mandatory training for all TYRS employees. They are a well known and published organization familiar with residential care and seeking to improve the quality of care offered in residential programs. They have recognized Terrace Youth Residential Services as providing high quality, trauma sensitive treatment and have voiced their interest in our agency and wish to work with the youth place within our homes. TYRS also employs full time clinicians, one for each geographical location. Each clinician is certified to conduct CAFAS assessments. Each has experience in group care, backgrounds in Social Work or Psychology and extensive training in attachment, trauma and brain development. They work with the staff teams, training and educating them with respect to trauma and the effects of trauma. TYRS offers counselling, psychiatric and assessment services through its sister company, Terrace Youth Wellness Centre. Referrals for services can be made by the Program Supervisor in conjunction with the CAS worker and the house team. Services can remain in place or commence even if the youth is not placed in a group or foster home within TYRS. Additionally, in an effort to accommodate special needs, Terrace Youth Wellness Centre, offers ABA Therapy, Respite Services, and other services for children/ youth with special needs. These services are open to youth placed within TYRS’ residential programs as well as other residential programs or within the community, on a fee for service basis. If you have any questions regarding about Terrace Youth Residential Services, do not hesitate to message us! You may call us at (613) 831-1105 or intake@terraceyouth.ca, you may also leave us a message using this form! We will respond your messages as soon as possible.